This weekend a new shopping destination opened in Deal, The Village Indoor Market. Artist and owner of Don't Walk/Walk Gallery Neil Kelly is the force behind the market, along with Vince Keen who owns The Courtyard Restaurant. They've assembled a “village” of makers and purveyors of goods to come and sell their things by the sea. One of the first blog posts we did on Discover Deal was about Neil and the opening of his gallery. Three years on, the gallery is a booming success with Vic Reeves and Noel Fielding regularly showing works as well as a roster of talented artists. The Village Indoor Market, Neil’s new venture, is set to be another runaway success. We went along on the opening weekend to check it out. When we visited on Saturday morning the place was buzzing. Outside there was an artist at work, with tools spread on the pavement and canvas up on an easel. There's a queue to get inside, and once we’re in there’s a lot going on. 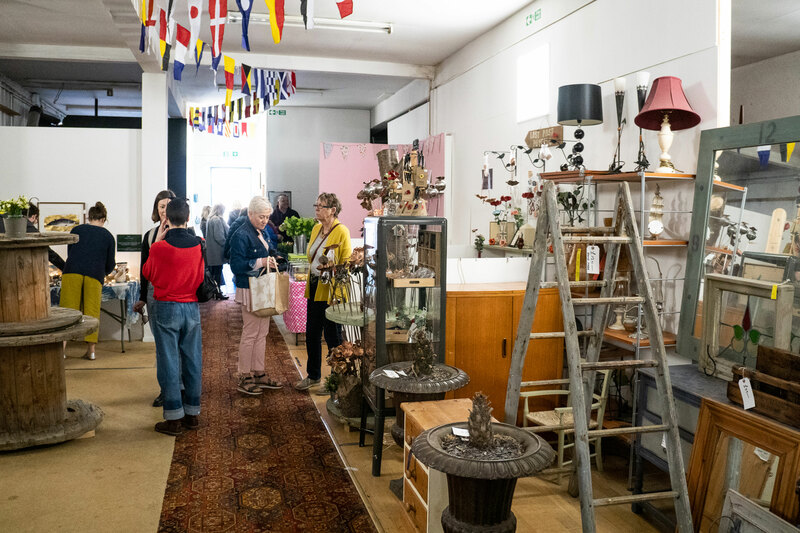 Flags strung up on the ceiling, and stallholders have their wares spread out to browse, people fill the space talking in groups and shopping the stalls. There are crates of records to flick through, second-hand clothes, and vintage items for sale. Refurbished furniture, garden ornaments and wooden signs for the home line the back wall. We picked up an exquisitely decorated cupcake from Bo Cakes. 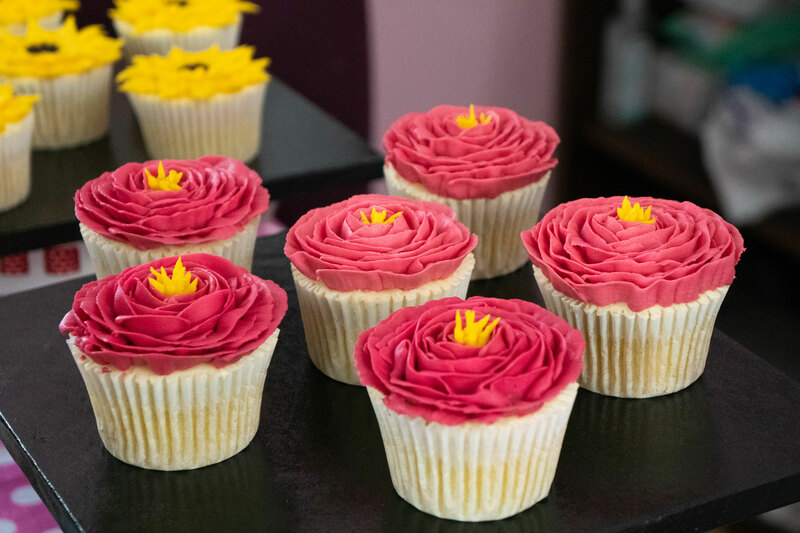 It’s hand piped to look like a flower, there's also some delicious flavoured sponges and brownies available too. We spot Mig Kimpton and his selection of contemporary flowers. It was Mother’s Day the next day so the perfect opportunity to get a last minute surprise. 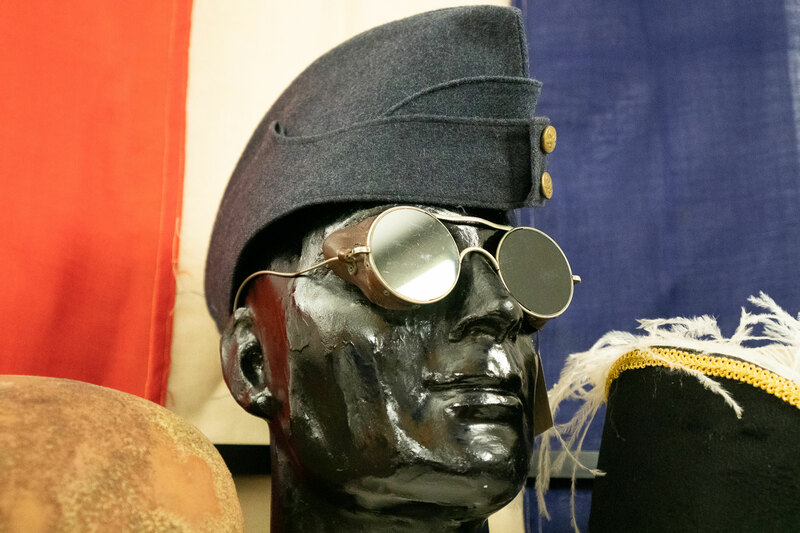 The military surplus stall is an interesting browse. Pins, glasses, hats, boiler suits there's a lot of cool items that can be picked up and styled into a pretty unique outfit. Nina Paloma’s array of ceramic pieces is tempting. Rustic looking mugs pots and plates painted in greys and coastal blues. She cleverly displayed them with a string of fairy lights so the glaze on the pieces shines nicely. Jenny Preston is an artist we recognised from Instagram. She makes lino prints of seaside and Deal images. She has an amazing print of Deal Beach Parlour, that we watched being made on her Instagram stories. It was great to see the finished product in person. There are lots of greeting cards, totes and different prints to chose from. 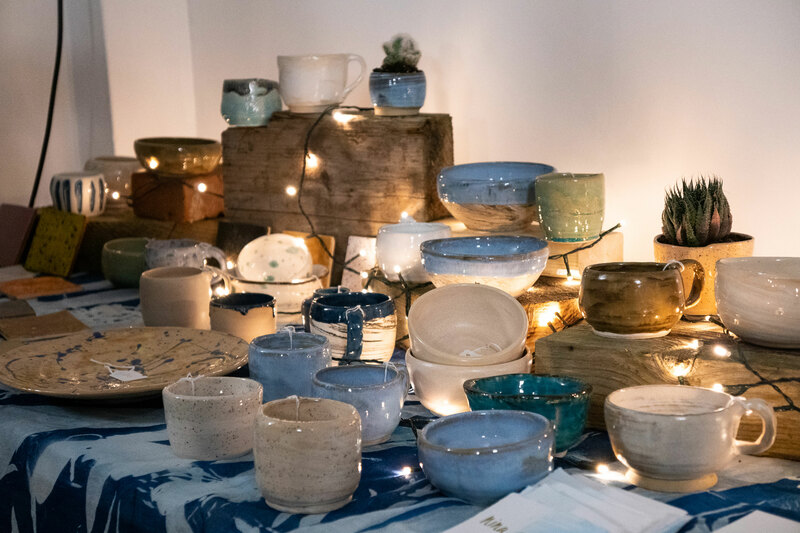 With the market and gallery bustling, The Courtyard Restaurant put on a takeaway menu of sandwiches, bar snacks and hot drinks fuelling stall holders and shoppers at the weekend. Sondes Road now well worth a visit for those after the handmade or unique. Now we are spoiled with two markets in Deal, and each one has something different to offer. 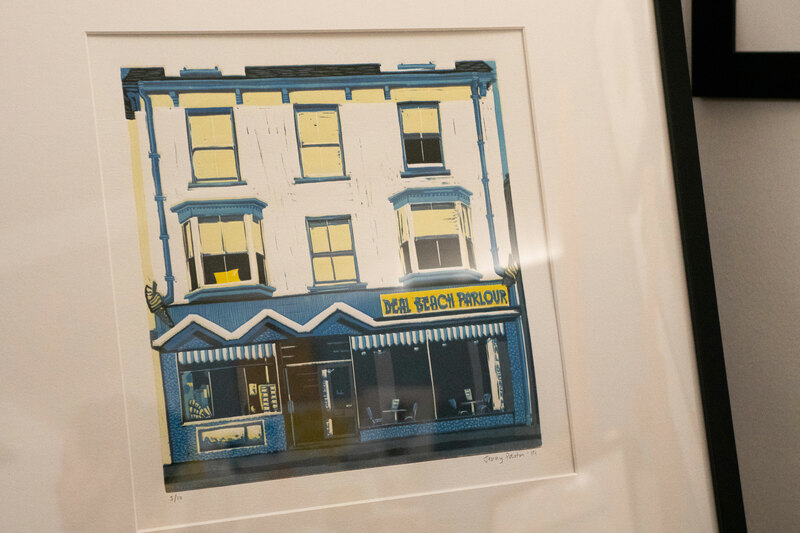 Sondes Road is ideal for finding that quirky house warming gift or piece of local art. Another gem for weekenders and locals to frequent. The Village Indoor Market is open Saturday and Sunday from 10-4.